Please contact us if you know of a website that might appropriately be added to this page, preferably on a reciprocal basis. Here are links to some other useful websites relating to the breeding, promotion and sale of blackface sheep. Adam Purves are one of the Blackface Sheep Breeders' Association major sponors and have a wealth of experience in 4x4 vehicles. Specialists in 4x4's and the whole Mitsubishi range. Contact Alastair Scott on 01896 759121 for further information. The MacGregor's at Allanfauld Farm breed Charolais and Limousin cattle and Blackface and Texel sheep, they also provide farmhouse B & B in Kilsyth, near Glasgow. Caledonian Marts runs mart-based auctions at Stirling and Oban. Many of the excellent photos on this web site, were taken by Catherine A MacGregor. If you would like to see her full range of photos and services, or order photos, then please visit her web site. Craig Wilson Ltd run a very suusccful livestock auction business selling stock through Ayr and Newton Stewart Markets. Cumberland and Dumfriesshire Farmers Mart Ltd have sales of livestock through Longtown and Dumfries markets. Dingwall & Highland Marts Ltd, based in Dingwall, sell sheep and cattle through Dingwall and Fort William auction markets. Harrison & Heatherington run Carlisle auction mart. Livestock auction market based in tne North East of England. Main centre for the North of England Type Blackfaces. Honda UK are the no 1 choice in ATV for the UK farmer and are proud to support the Blackface Sheep Breeders Association. Click on the link to see the Honda ATV range. Blackface Sheep Breeders Association promotional goods are available to purchase on-line. John Swan Limited, a subsidiary of John Swan and Sons plc operate large and successful Livestock Centres at Newtown St Boswells in the Scottish Borders and Wooler in Northumberland. Lawrie & Symington run Lanark Agricultural Centre in Lanark, where they run, not only a very succesful livestock auction market, but also hold various shows and events at the centre. NFU Scotland aims to promote and protect the interests of the Scottish farming industry, infuence government, the public and consumers to that end, and assist its members to meet the needs of customers. 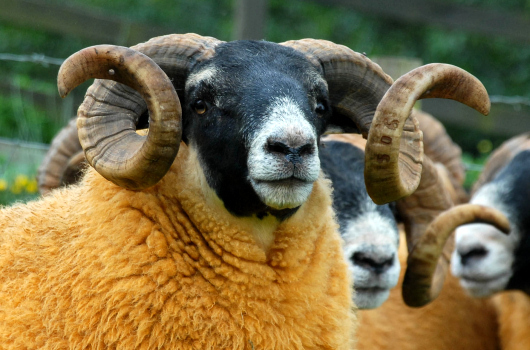 Information and news from the North of England branch of the Blackface Sheep Breeders Association. We are livestock agents for and on behalf of customers throughout europe. Breeders of Mules from the South West of England. Wallets Marts are a livestock auctioneering company based in Castle Douglas.